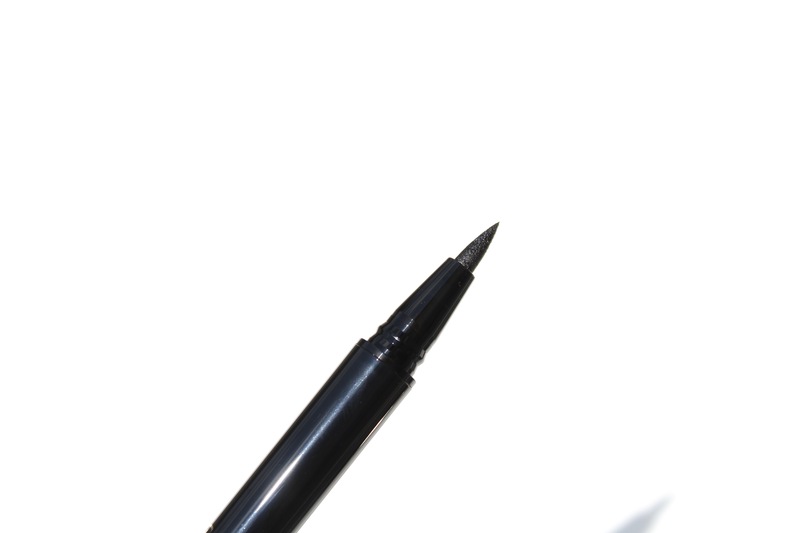 Clarins is introducing the Graphik Ink Liner (C$30 each) which a highly pigmented pen shaped eyeliner. 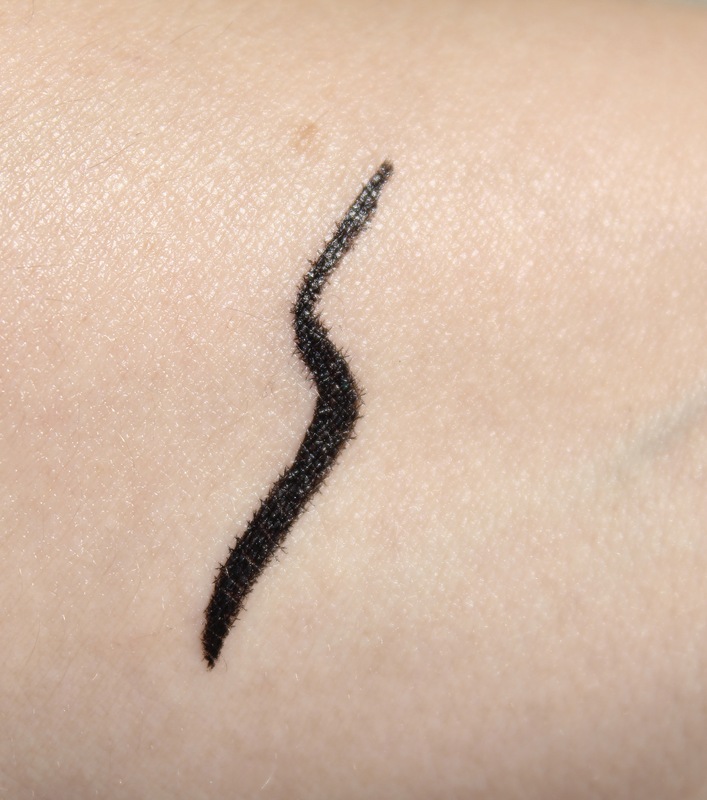 This is one of the blackest eyeliner carrying a captivating black hue with a luminous finish. 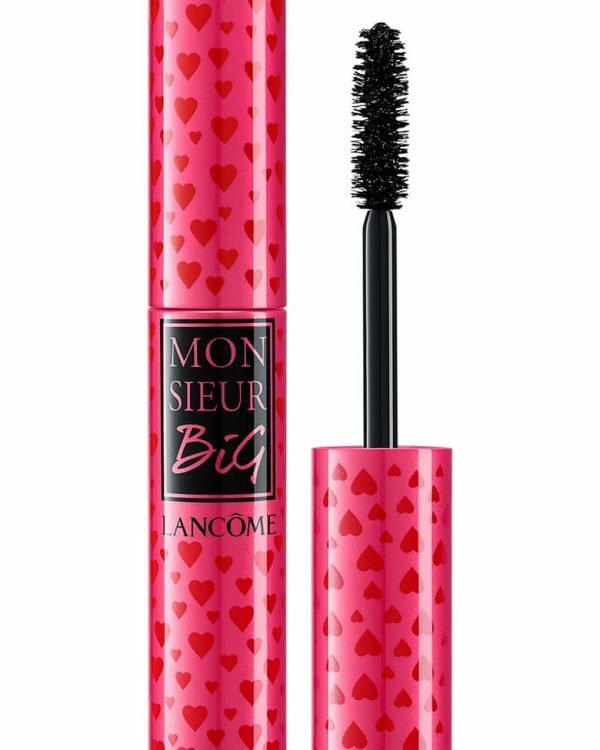 It carries a very easy on application with soft, tapered tip that follows the shape of the eyes, it allows precise application every time. The formula is light and smudge proof. 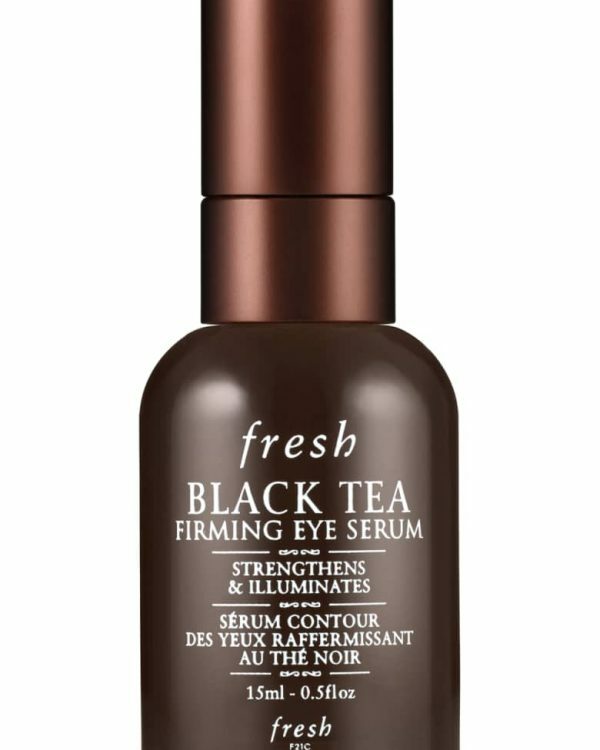 It carries a good staying power and at the same time it removes easily without irritating the eyes. I loved how you can get a nice winged look with just one swipe and have a full control over the thickness of the line. It’s very easy to carry it along with you while you’re on the go and fits into any kind of bag. Next is the 4-Colour Eyeshadow Palette in Forest (C$45 each) is a seasonable eyeshadow palette collection that comes in four beautiful complemented autumn tone colors for this season. 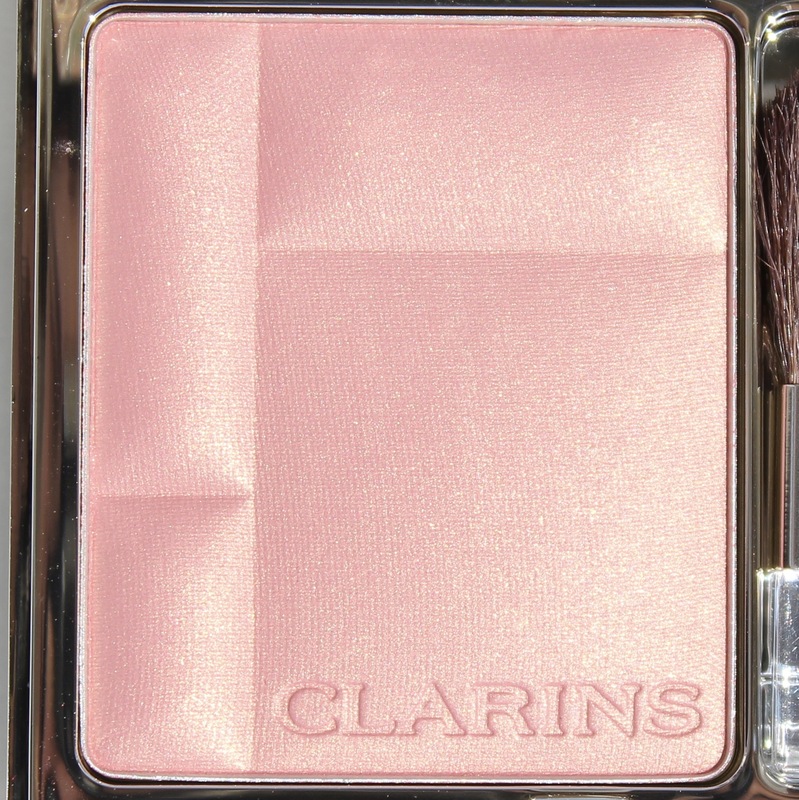 This time Clarins brings two-tone shades one in subtle and satiny finish and other in dark matte grey finish. As many times I have mention how much I love these 4-Colour Eyeshadow Palettes for their texture and performing purposes. 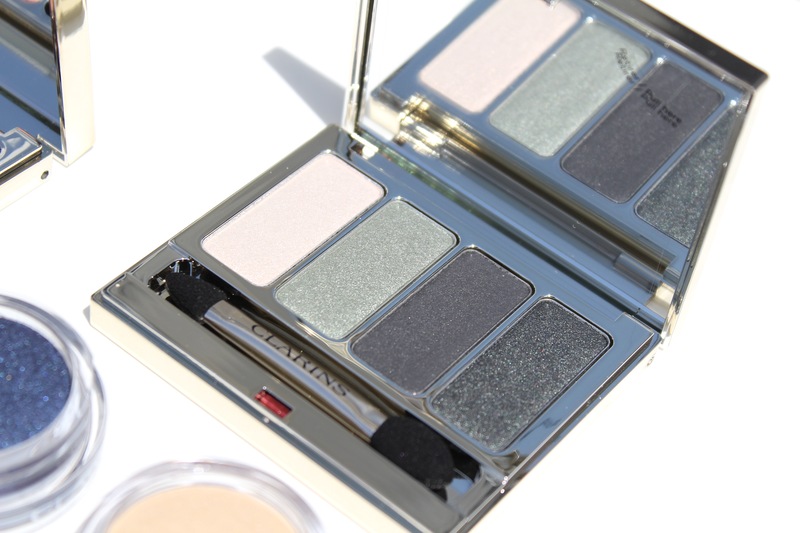 Although when it comes to greens for eye I do step back but this palette comes in beautiful green with grey under tone which makes it wearable. I liked how the colour scheme in this palette is layer able and bendable. 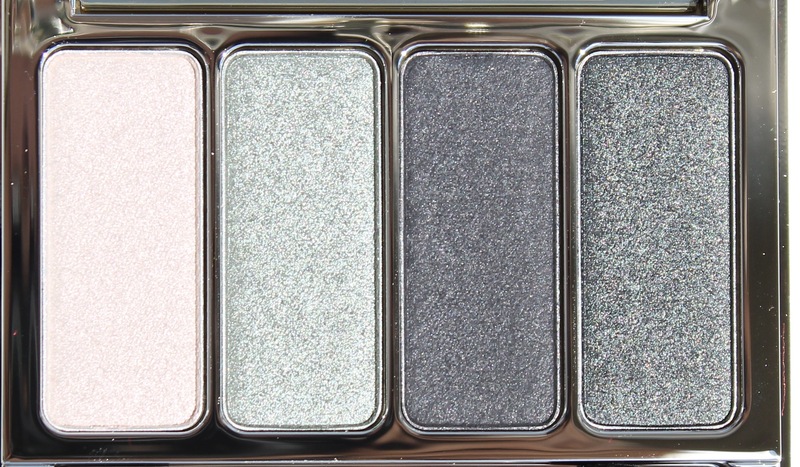 You can use this palette dry for more blended look or intensify it with a damp applicator for more dramatic look. 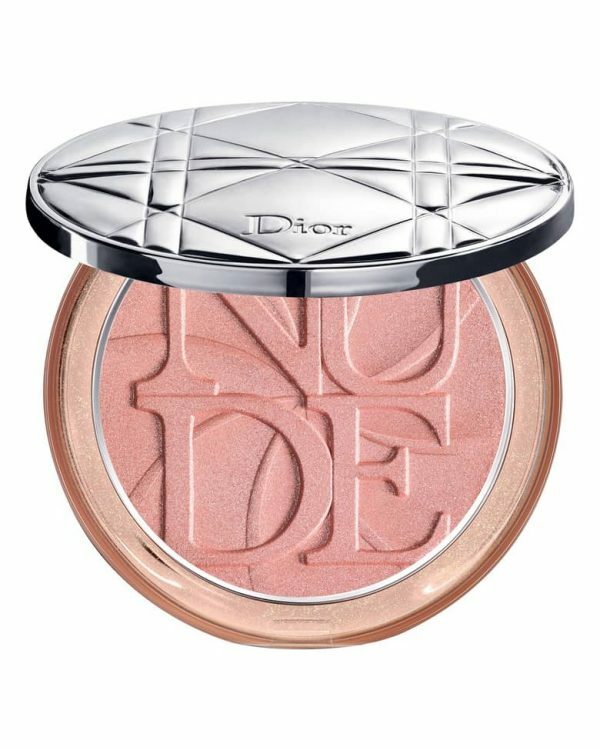 It comes in the same traditional golden packaging with a good size mirror and a sponge applicator. 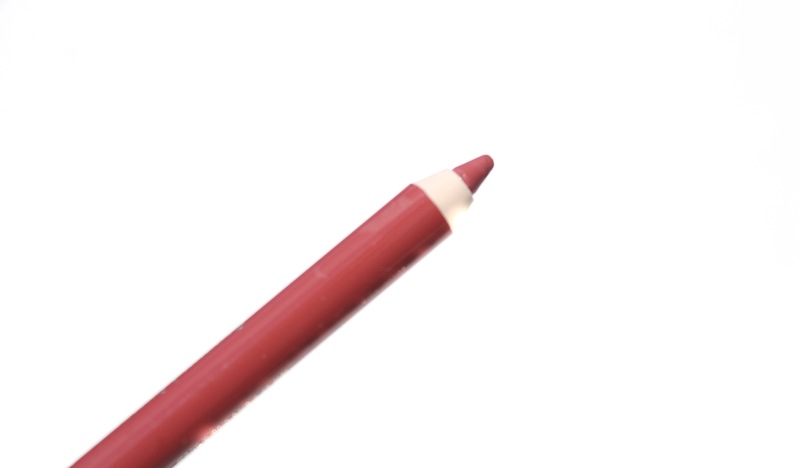 Ivory – is a luminous, eggshell white shade. Midnight Blue – is a dark blue with a subtle pearl reflection. The Ombre Matte comes in a pot like packaging which makes it easy to apply the product with the finger tips. It can be applied with a brush too but I personally like to apply it with the finger tips, it sets beautifully with finger tips. The colors layer beautifully and blends well. Up next is the Blush Prodige in Golden Pink (C$33 each- limited edition) is a lightweight silky powder blush that is formulated with combination of mineral and plant extracts. 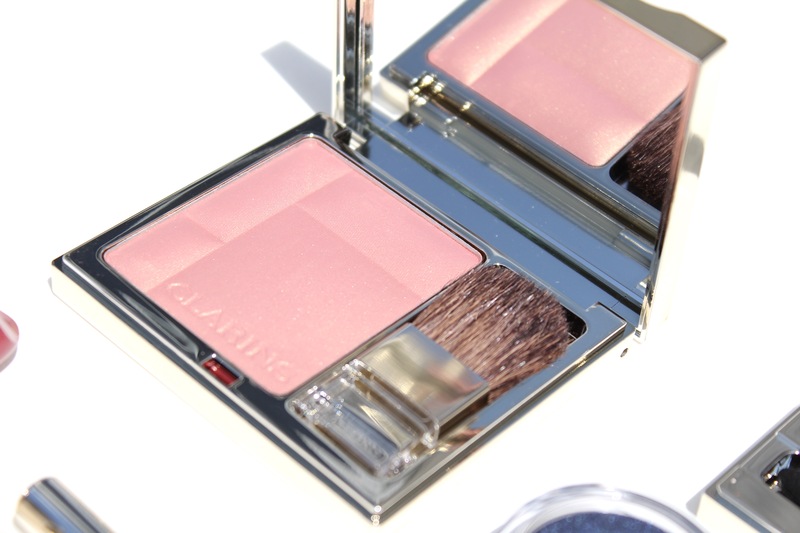 This was my first time trying the Clarins Blush Prodige, I have no clue how the other shades or colors look but this palette talks it self. 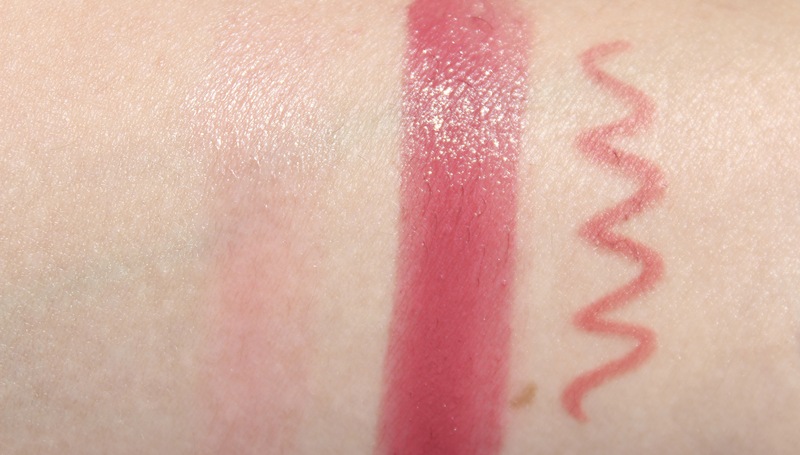 This is a beautiful pink shade with iridescent gold shimmer. 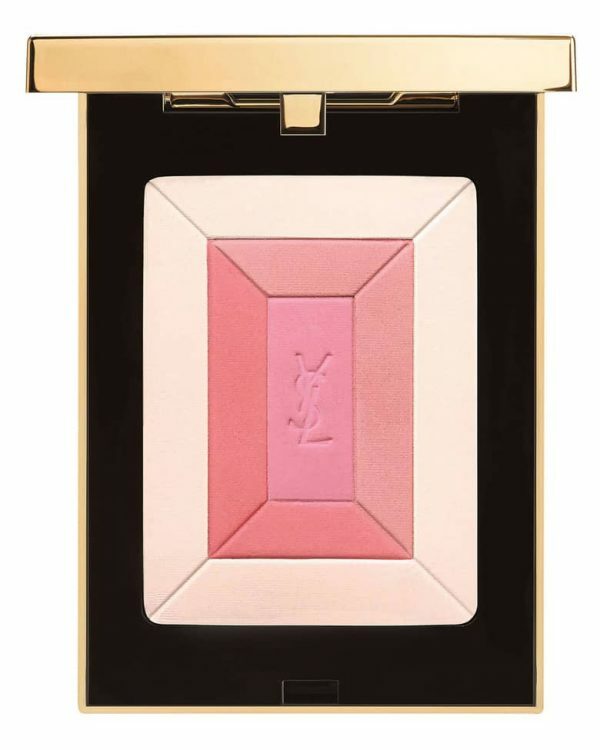 This is a pink shade that enhances all skin tones and offers a healthy glow to the complexion. 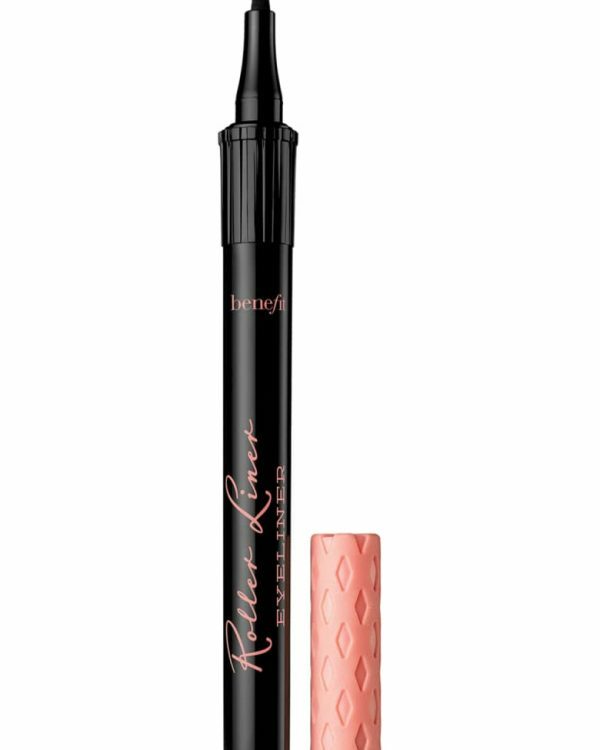 Comes in gold packaging with a good size mirror along with a brush applicator. 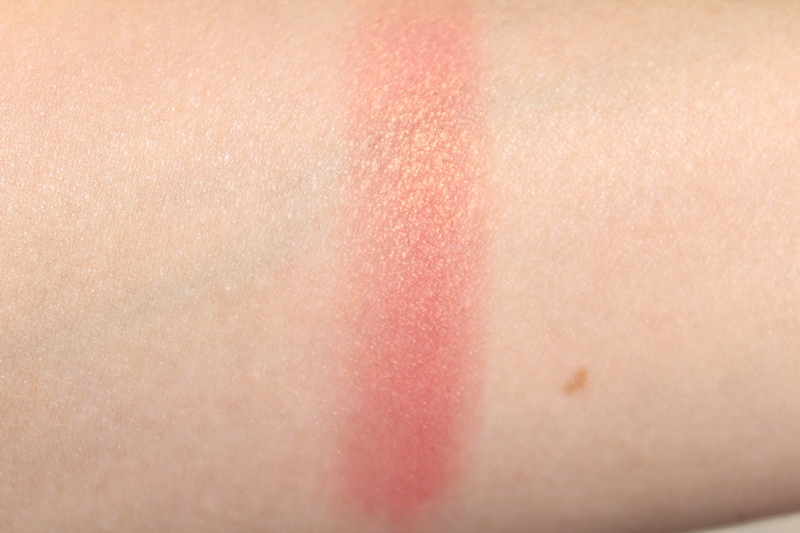 Roseberry which is a beautiful tender dusty rose-pink (one of my favorite shades). Red which is a bright Red color. Deep Red is a deep, intense red. Litchi is a very gentle pink shade. 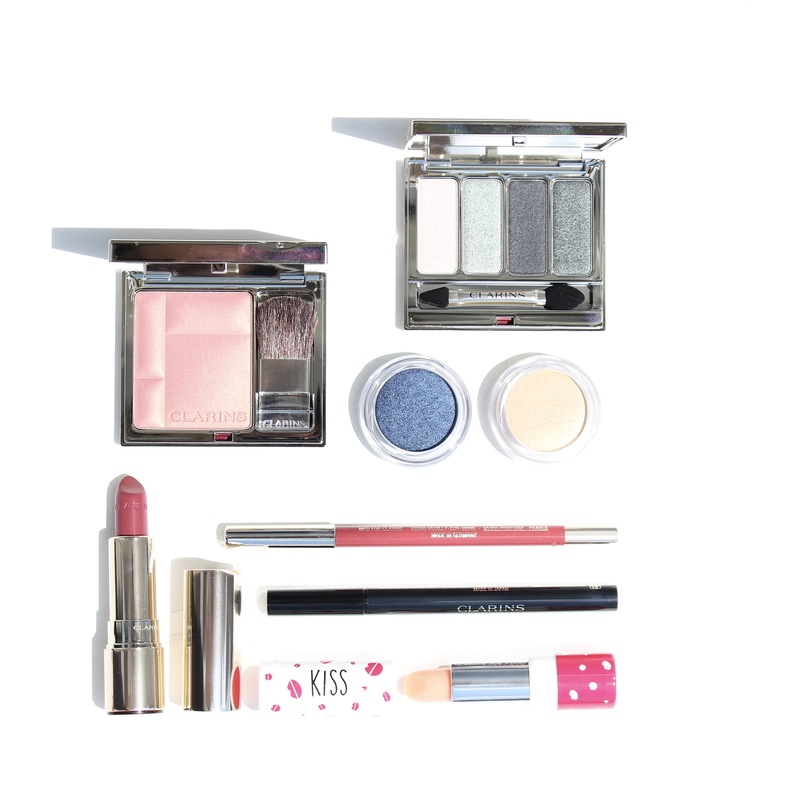 Last but not least Clarins is introducing Tender Moments collection which is a limited edition duo. This collection carries Lovely lip Balm (C$18 each). 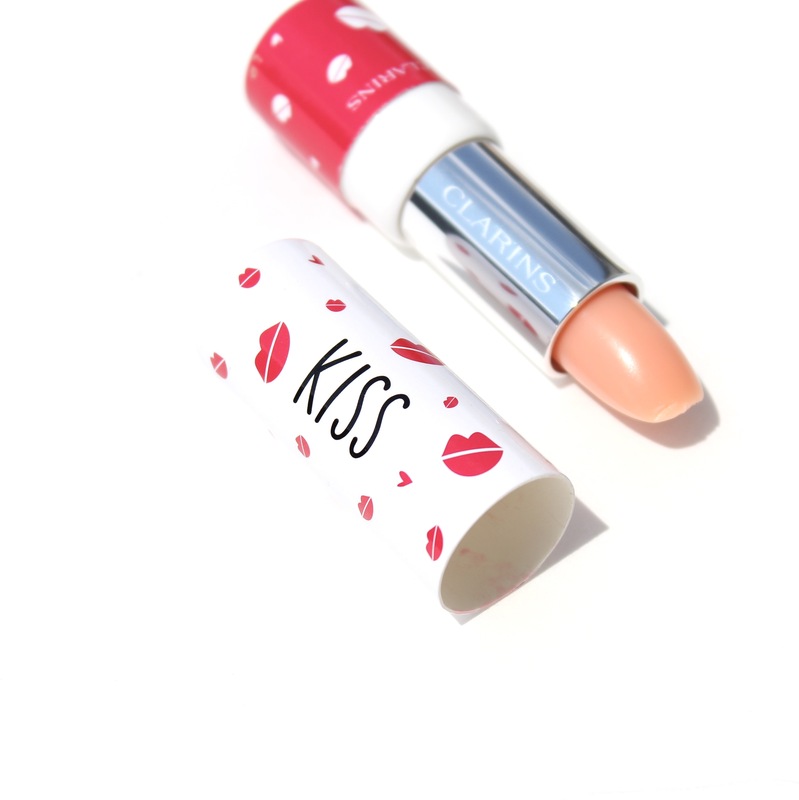 This is a limited edition Lip Balm that carries the most cute packaging ever with a sweet scent. 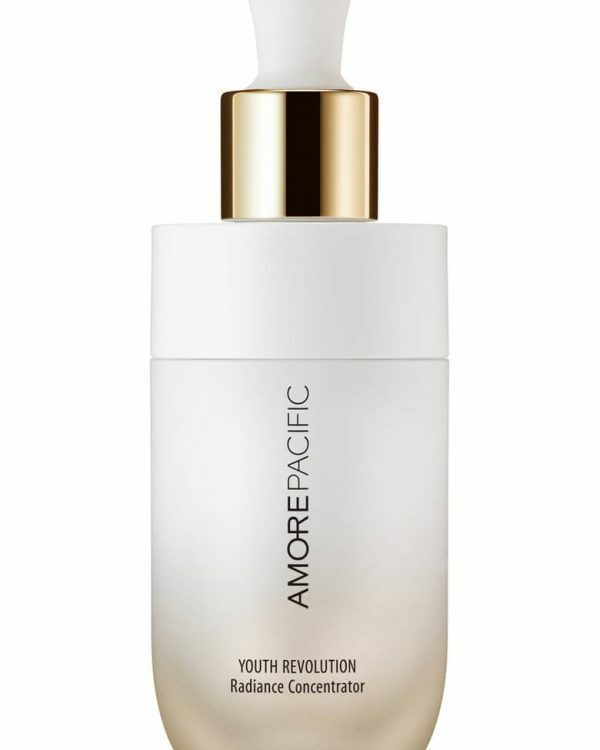 This give lips a nice nourished look and feeling once applied and it helps repair over time. 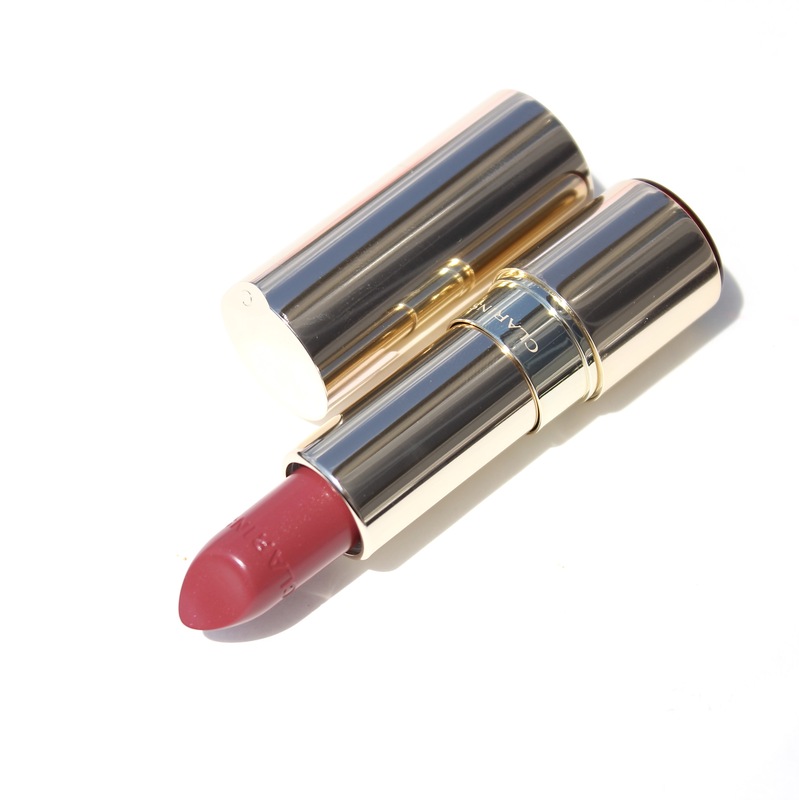 I do love lips balms, for me its a must during fall and winter time and I feel this one will definitely be in my on the go bag for its moisturizing and smoothing properties. Overall the whole collection is great in terms of colour selection and performance. 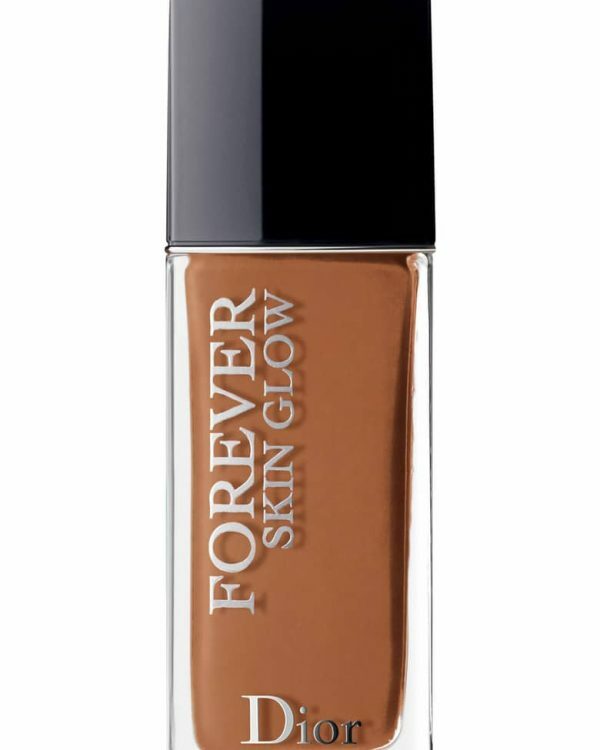 I love the shadows texture and formula, they’re super pigmented and easy to apply. The collection goes well together, you can create many different looks with this collection from natural to very dramatic. 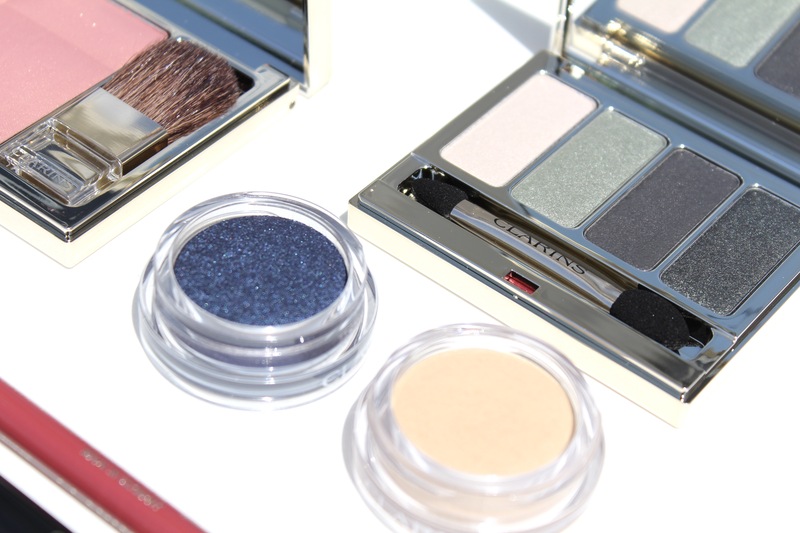 I have been loving Clarins make up collections all the time for their quality and color section. Although the green colour in 4-Colour Eyeshadow Palette seemed to be a bit too much but once you apply, it gives a very neutral finish. 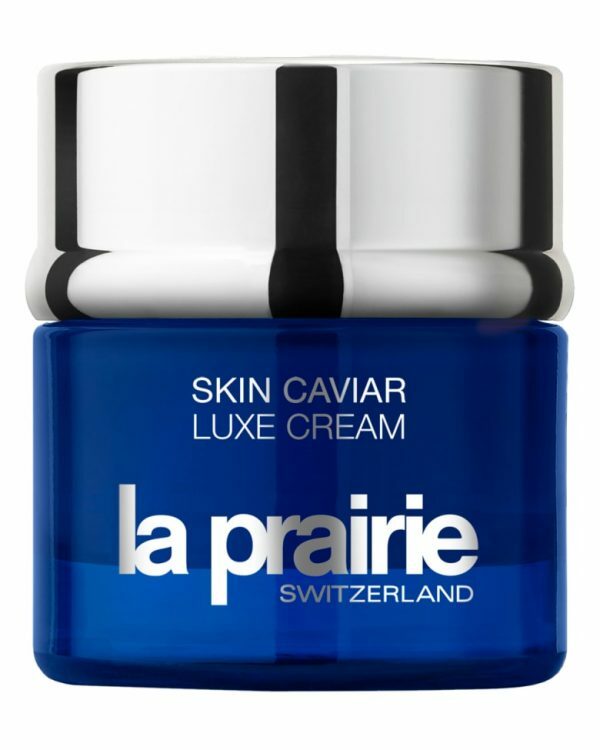 You can find the Clarins Graphik collection is now available in all department stores, pharmacies and on clarins.com. Many thanks to the Clarins team for sending the press sample of Graphik collection and Kiss Lip Balm for reviewing purposes.